It’s officially fall! My favorite season… Pumpkins, apples, apple picking, foliage, scarf weather and we’re closer to my other favorite time of the year (the holiday season). I think I have covered it all. And while pumpkin flavored everything has been on store shelves for a few weeks now and I will admit that I did bake a few things that are pumpkin flavored, I have waited until now to post anything pumpkin related. And I am starting small with this Pumpkin Chai Latte. Before I get to the latte though, I just want to touch on the pumpkin flavored phenomena. It’s a bit out of control! It’s so excessive that I am not really tempted to get anything. I did pick up some Pumpkin Flavored Cheerios that remind me more of Apple Cinnamon Cheerios than anything, and some Pumpkin Fruit Butter. I used to love Pumpkin Flavored Milanos and I even enjoyed some pumpkin spice almonds I picked up a year or two ago, but now, I prefer the baked pumpkin flavored treats I make more than anything. Now, back to the latte. I began by heating milk and steeping a bag of chai tea in the milk for about 5 minutes. And here’s something I learned and maybe some of you knew this but somehow I didn’t… By steeping the chai tea bag in milk I had a chai tea latte. It’s one of the few things I order at Starbucks but I am pretty excited to know now that I can make it at home now. It just needs a little sugar. 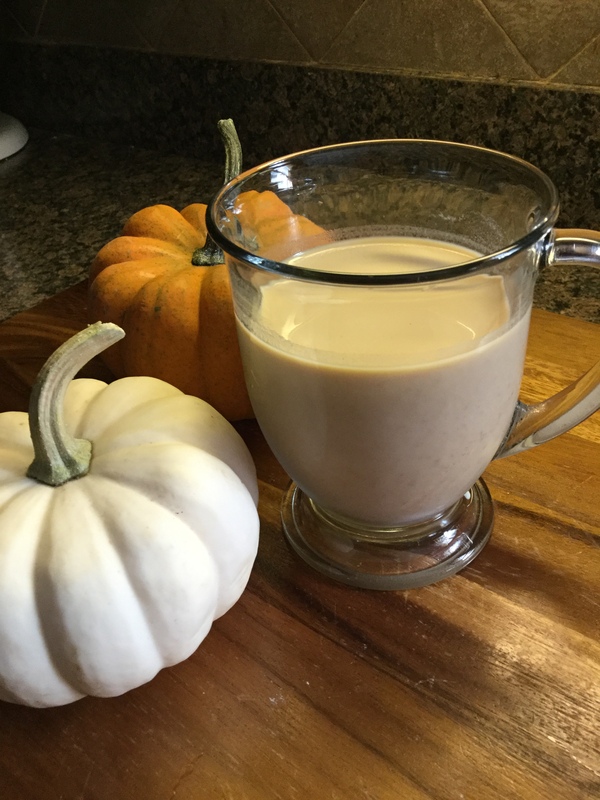 Once the milk was read I whisked in pumpkin puree and a pinch each of pumpkin spice and honey. You can sub sugar if you prefer your latte on the sweeter side. I then strained it and enjoyed! Steep the tea bag in the milk for about 5 minutes. Whisk in the pumpkin puree, pumpkin spice & honey. Strain and enjoy.